Dan Gardner, VP Supply Chain at Lakeshore Learning Materials & Co-founder of Trade Facilitators, Inc. Prior to founding Trade Facilitators, Dan Gardner spent 23 years in Third Party Logistics business where he held senior management positions with entities that include Exel Global Logistics and DHL Global Forwarding. During the broadcast, Gardner will explore how purchase orders are key to digitizing (and therefore Blockchaining) the global supply chain process. Daniel Pickett heads up the development of a common framework and data standards at Blockchain in Transport Alliance (BiTA) and he is the Chief Data Scientist at FreightWaves (the company behind BiTA). Pickett will follow-up Gardner’s discussion with an urgent exploration of the need for standards along with the current and future state of that challenge. Lastly, Ty Bordner will wrap up the webinar. Coming from over 22 years’ experience in the Global Trade Management software market, Bordner will delve into the need for an application to be the blockchain “glue”. 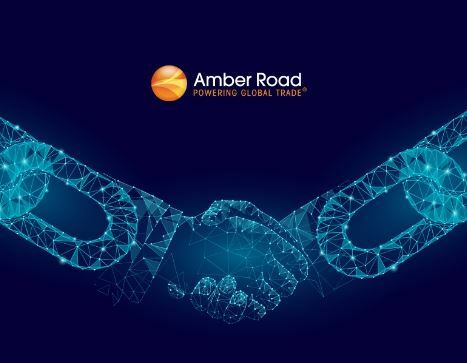 A global trade management application can serve as the central hub whereby global companies can communicate to and from all the various blockchain applications out there (both now and in the future). In other words, the proper blockchain application can go beyond visibility to supply chain transparency. We hope to have you join us on June 28 at 2pm EDT to discover the key to frictionless global supply chain execution. Register now!